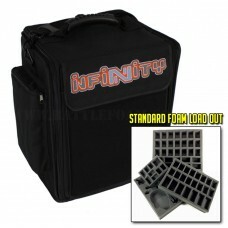 The Infinity Alpha Bag is made with a hard plastic inner shell to help protect your valuable models inside. 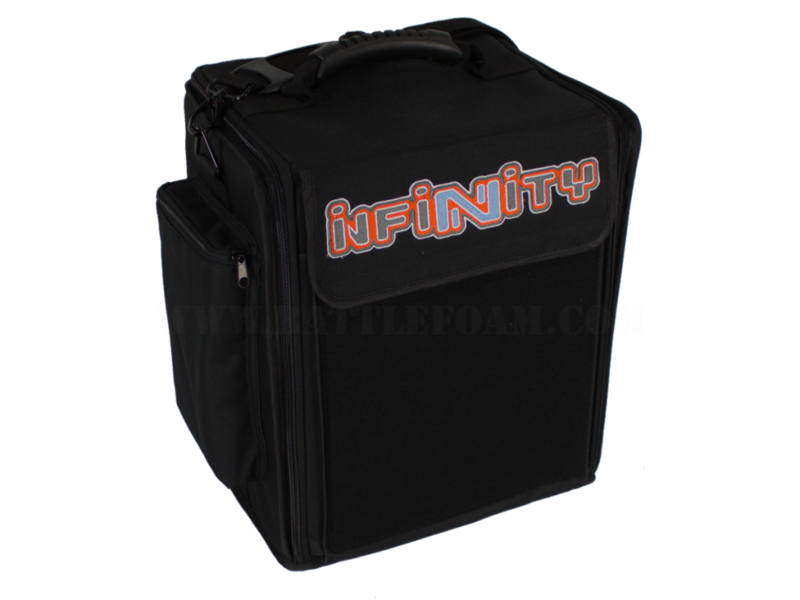 It is covered by a black canvas material with the Infinity logo embroidered on the front pocket. 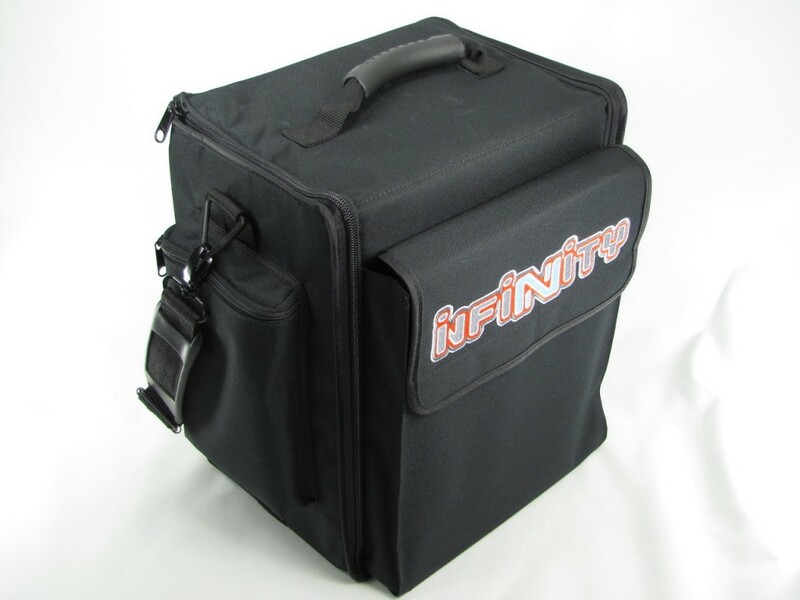 The large pockets on the front and back of the bag are big enough to hold two of the Infinity rule books. 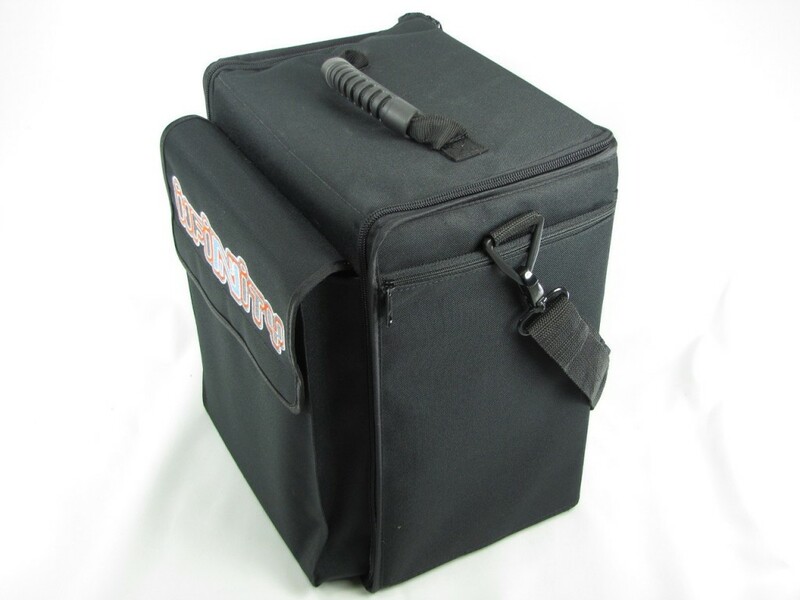 There are pockets on both side that will fit large templates, dice, tokens and other accessories. 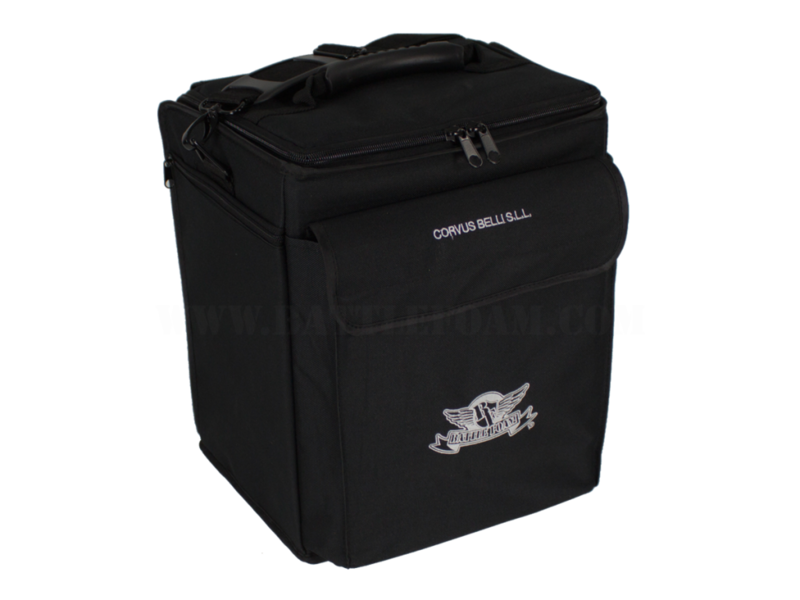 A pocket is available on the back and on the inside of the bag for any paperwork you may want to carry. 2x 1 inch (25 mm) thick tray with 16x 1 x 1 1/2 inch (25 x 38 mm) cut outs, 7x 2 1/4 x 1 inch (57 x 25 mm) cut outs, 2x 2 1/4 x 1 1/2 inch (57 x 38 mm) and 1x 2 3/4 x 2 1/4 inch (70 x 57 mm) cut outs. 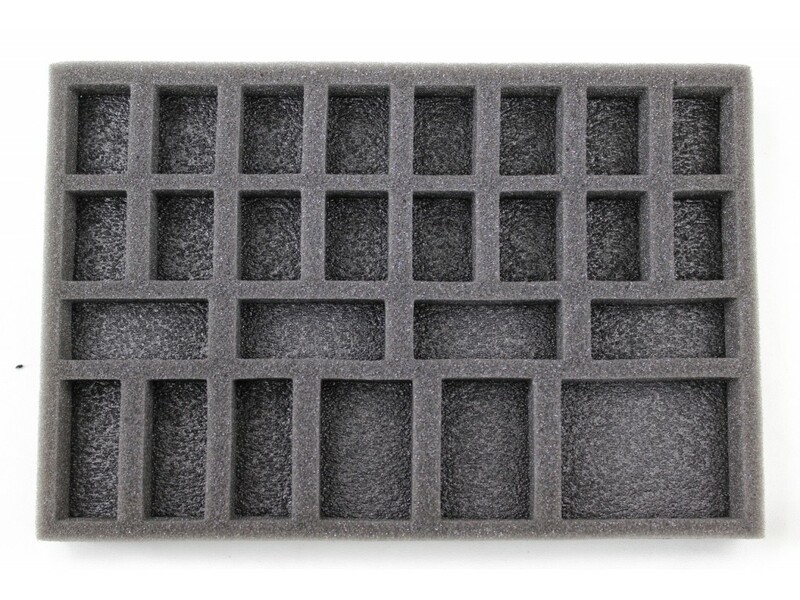 2x 1.5 inch (38 mm) thick tray with 16x 1 x 1 1/2 inch (25 x 38 mm) cut outs, 7x 2 1/4 x 1 inch (57 x 25 mm) cut outs, 2x 2 1/4 x 1 1/2 inch (57 x 38 mm) and 1x 2 3/4 x 2 1/4 inch (70 x 57 mm) cut outs. 1x 2 inch (50 mm) thick tray with 16x 1 x 1 1/2 inch (25 x 38 mm) cut outs, 7x 2 1/4 x 1 inch (57 x 25 mm) cut outs, 2x 2 1/4 x 1 1/2 inch (57 x 38 mm) and 1x 2 3/4 x 2 1/4 inch (70 x 57 mm) cut outs. 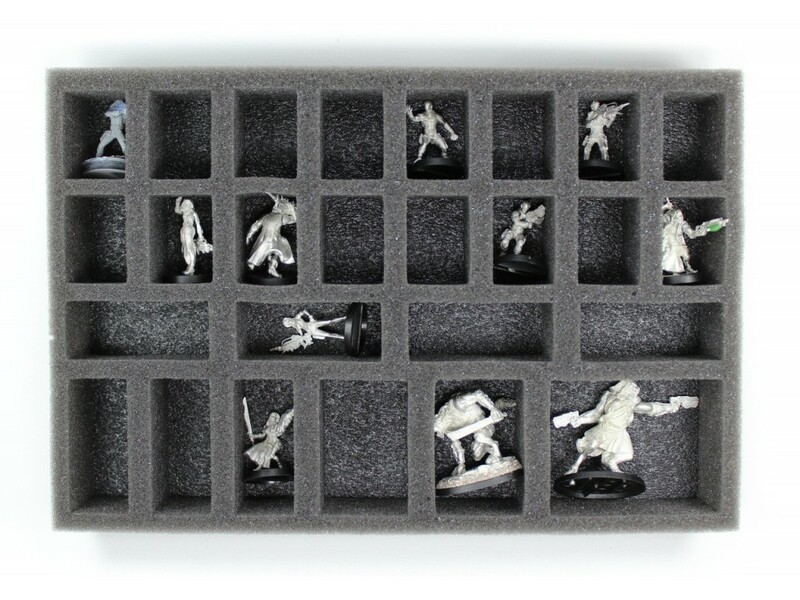 This load out option will hold 130 various size models. 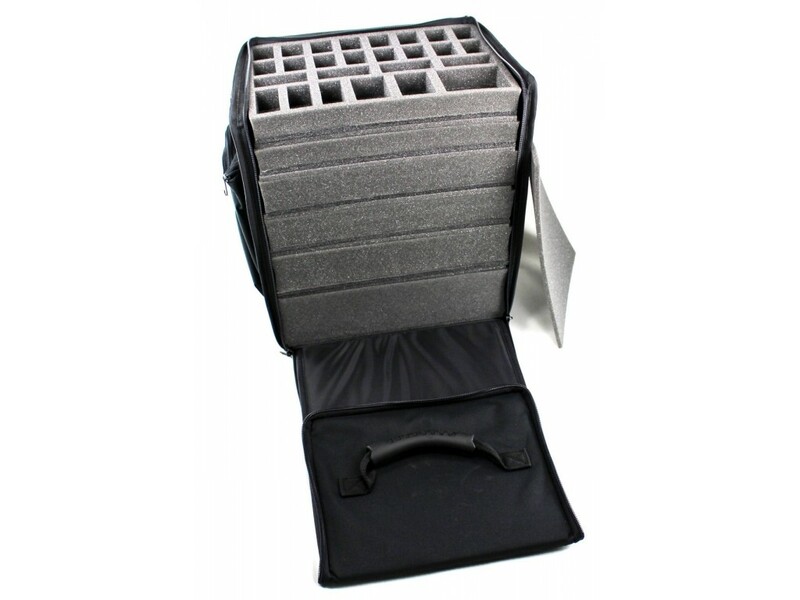 Plus, it comes with one full 3 inch pluck foam tray ready for customization. 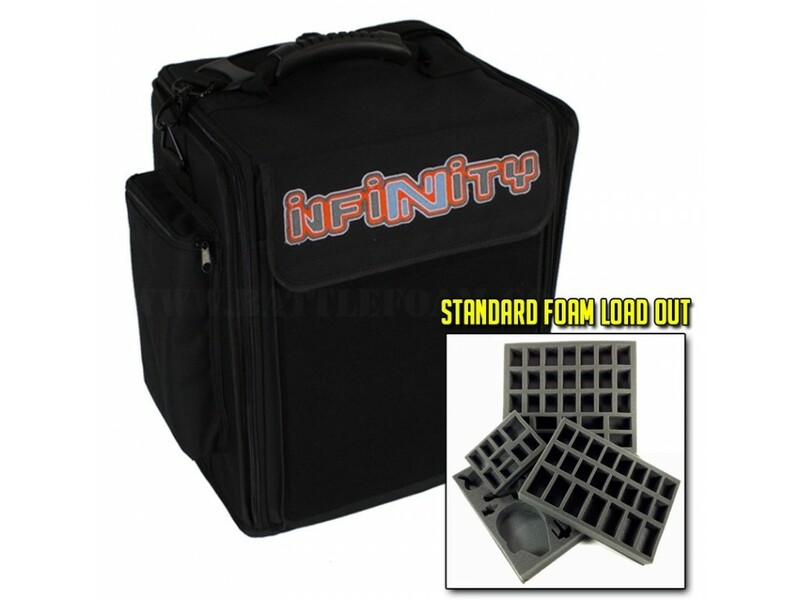 Custom text is not available on these trays or toppers.